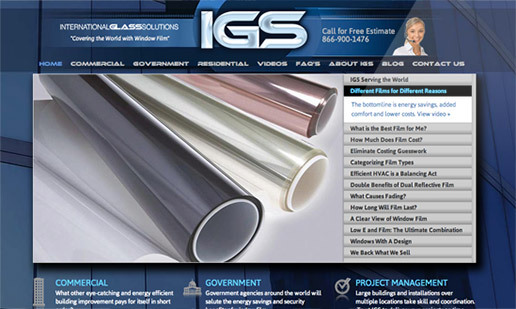 The custom WordPress website for IGS Film had to do a few things—display dense content well, drive people to the correct information they are looking for and then connect them to the appropriate materials. Additionally IGS had developed an extensive series of videos they wanted to showcase. I created a custom navigation menu and template system to make it easy to watch any video and either make contact or access more content.